From Hyrum D Jensen, son of David and Serena, The David Jensen home near Preston,Idaho. This building is facing south as you can see that the door is in the end of the building. The north part where the people are standing was built in the summer of 1871. The south part was added soon after. When we lived there, there was a shanty added to the south end of the house. The north part of this house was the first house built on the Preston flat. It had a dirt roof as you can see. At the time we moved from Franklin to Worm Creek it had no floor just the bare ground. When the south part was added (which also had a dirt roof) a rough board floor was placed in the two rooms. The log building you can see standing in the rear was used by Joseph Clayton while he was building his log cabin one-half mile south of the homestead. Here is where my mother (Bertha Serena) lived and died. When the funeral was held for her her casket with her body in it was placed on a bench just where the two girls are standing near the east side of the house. The people who attended the funeral were gathered around just about as you can see we were when this picture was taken." This photo shows a view of the south and west side of the two rooms of the David Jensen home near Preston. The grown people are from left to right: Hyrum D Jensen, Elmer Jensen, Samuel Jensen, George Shaffer, Christina Shaffer, Joseph Jensen, Junius Jensen, Sylvia Jensen, Sarah Alder, Margaret Jensen, Sarah Jensen, Julia Konstance Jensen, Richard Jensen, Charles Petersen, Sara Petersen, Dagmar Jensen, Nora Smart, James Smart, Fredrick Jensen, and May Jensen. Sons and daughters of David C Jensen and Serena and Julia K Petersen Jensen. Letter in parenthesis means the person is the son or daughter of Serena (S) or Julia (J): Front row, left to right, Samuel (J); Christina (J); Sarah Alder (S); Nora Smart (S); Hyrum (S); Second row left to right, Elmer (J); Fred (S); Junius (J); Antone (S); Oscar (S); Wilford (J); Richard (S); and Joseph (S). Annie was born in Brekke Maridalen, Oslo, Akerhus, Norway the 8 October 1821 to Soren Hansen and Anne Sorine Christiansen Hansen. She married Simon Pedersen/Petersen the 16 December 1842 in East Aker, Akerhus, Oslo, Norway. Simon and Annie had eight children: Berthe Serene born 20 August 1842; Peter Olavis born 19 February 1844; Hans August born 29 July 1846;Christian Elvin born 12 March 1849; Julia Konstance born 30 August 1851;Hendrick Emil born 29 January 1854; Annettie Othellie born 2 July 1858; and Charles Ferdinand born 19 June 1863. In Norway the Petersens were known as Simonsens. Annie's mother, Anne, met the missionaries and was baptized in 1857. Annie waited until 1861 when she was baptized against her husband's wishes and joined the church. 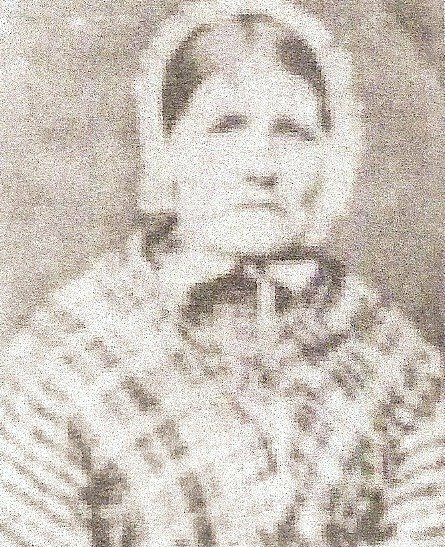 Her oldest daughter, Serena, joined 21 February 1862 along with her husband. Julia Konstance was baptized 15 March 1863 when she was 11. The four older boys, Peter, Hans, Christian, and Hendrick were totally against their family's baptism. They never accepted the gospel but would later come to America and settled in Wisconsin. Peter is the only one who had children, so the Wisconsin families are directly related from him. Hans August never married and died of cancer. Christian Elvin went to Canada but never married and died there. Hendrick Emil went away and as to his whereabouts no record is available. Annettie and Charles later joined the church and emigrated with their mother. David and Serena with their daughter, Josephine, and Serena's sister, Julia left Norway and emigrated to Utah on April 6, 1863. David saved money and sent for his mother-in-law, Annie, Annettie, and Charles to come to America. Annie was a wiry, small, thin, rawboned, energetic, extremely friendly, and pleasant person. She was a woman of conviction and was always knitting or doing something with her hands. When she was over 70 she would walk the 10 miles from Franklin to Preston. She gleaned the wool off fences as she went along. Later she carded, spun and knitted the wool, and always knitted as she walked. Peter Olavis came from Wisconsin to Idaho to see his mother, and they talked all night. Annie was not well at the time Peter came. Peter returned to Wisconsin and his mother died a week later. She had been ill for a long time before her death. She died in Christina Shaffer's house where she had lived about a year, November 28, 1899 at the age of 78. She is buried in the Franklin Cemetery. In the summer of 1949 Clarence Simonsen, a grandson of Annis visited Idaho. While in Idaho he went to Franklin to visit the grave of his grandmother. Iris Julia Jensen Spackman, a granddaughter, states, "I remember seeing my great-grandmother, Annie Christina Sorensen Petersen, before she died, at my grandmother's house. I was 6 years old when she died." The following is taken from the words of Berthe Serena Simonsen Petersen Jensen: "Chris was the first of the family to come to America. He had been a janitor in a Latin School and had saved up enough money to come to America. He and one of the neighbor boys came together. After a while he sent for Peter. Peter's wife and small son stayed for a year in Norway with Grandmother Petersen. Her name was Daren Rasmussen and the boy's name was Andrew. After a year Peter sent for them. The little boy died soon after they arrived in America. He had Scarlet Fever and they felt awfully bad. Grandmother Peterson didn't know he was dead and sent him presents but they didn't arrive until after his death. Peter and his wife felt so bad about it they could not stand to tell about it. After a while Peter and Chris sent for Hans. He was a shoemaker. He walked with a limp. He had a very bad leg in the old country. Then they sent for Hendrick, he was wild and woolley. Chris jumped from the threshing machine one fall and hurt his leg. He had to lay in bed all winter. In the spring, a bone came out of his leg and it got better. Peter's wife wanted board from him in the spring and this made Chris angry. He said he didn't feel he owed them money because he paid Peter's way to America and helped to pay his wife's way, and that when he got well they wouldn't know where he had gone. No one heard from him after until he died in Canada and the neighbors let Charlie know. Uncle Charley went but he didn't get there until after they had buried him. When the neighbors saw him coming they knew who he was because he looked so much like Chris. Hans died of cancer of the mouth. He was a shoemaker in the city and he held so many brass tacks in his mouth they thought that started the cancer. Hendrick worked in the thresher. He went away with Chris to see the people Chris had to come to America with and they drifted apart and we do not know what happened to him. Uncle Peter came to visit Grandmother Petersen before she died. He brought lump sugar and Brandy to her. He stayed two weeks. He died with pneumonia. He was sick two weeks. He had six sons and they are all in Wisconsin. Taken from "A Proud Heritage From David Jensen, Serena Petersen Jensen, and Julia Konstance Petersen Jensen". David Jensen was born April 15, 1835 in Toten, Norway to Jens Johansen and Gulina Olsen. He had seven half sisters from his father's first marriage, who were all grown with families of their own when he was a small boy. He also had a half brother, Ole Olsen, a son of Gulina, and eventually had two full brothers, Johannes who only lived a few hours, and Anton. When David grew to young manhood, he decided to leave Toten and move to Oslo because of the difficulties of leasing land, and because farming was very hard work. Another reason could have been because he had an Uncle Ole Olsen, his mother's brother, who had moved there and had bought some land at Maridalen. His land was near where Anne Christensen Hansen lived, who was a grandmother to Serena and Julia Petersen. It was through living with Ole that he became acquainted with Serena and Julia, who lived a good part of their time with their grandmother at Maridalen on her little farm. David had dark hair and blue eyes. He was about 6'1" tall, was husky, had wide shoulders, was stout, rough boned, and had very large hands and feet. He would let his hair and beard grow all winter long and wore a beard most of the time throughout his life. He was a very quiet man. He had very little to say to others. He was a poor conversationalist and talked only enough to answer questions. He was regarded by his fellowmen as being dependable, honest, and having good judgement. His opinions on matters was often solicited by the early settlers. He had the highest integrity toward his fellow man. David did things about the same way from day to day. He did not change his pattern of life easily. He enjoyed teasing others, but did not like to be teased. He controlled his temper very well. He was not easily provoked into a fight, even when tormented. He just could not be pushed to a fighting spirit. He was no hand to go visiting, but thoroughly enjoyed visitors to come to his home. His promise was an unwritten law and never broken." (David C Jensen, a grandson). David worked for the city of Oslo at the time of his marriage to Serena Petersen on 20 August 1859. Serena's mother and grandmother had become members of the Mormon Church prior to this time, and David would not allow Serena to have anything to do with them. Things changed after the death of their first born son, Sigvard. David longed for something that would give him comfort and the story is told that as they were going past the place where the Mormon Elders were holding a meeting they heard them singing the hymn, 'O My Father'. It caused them to stop and listen. After hearing the words of the hymn, they decided that they would go in and see what the Mormons had to say. From that time on they began to investigate the Gospel. Just one year after this event on 21 February 1862, they were baptized into the church by Elder Hans Paulsen. As soon as David became a member he began to make preparations for coming to Utah. He had evidently saved up enough money during the time he had worked in Oslo to take him and Serena, as well as Julia, to Utah. They left Norway 6 April 1863. On arriving in Salt Lake the 3rd of October, the family went directly to Lehi, Utah where they stayed for four years. They then moved to Franklin, Idaho where they purchased town lots for homes and a few crops. David decided that he wasn't quite satisfied with living in Franklin, so he looked all over the valley to decide just where he wanted to homestead. There were several different places where he looked but be decided on a 160 acre piece of ground on Worm Creek in what is now called Egypt or 5th Ward near Preston,Idaho. A story is told by David's son about an Indian encounter during one of these trips around the valley. "He [David] decided that he would see Gentile Valley and Bear Lake Valley before he settled down. So he and Mr. Olsen joined a company that was going over to Bear Lake. The road at that time, from Franklin to Bear Lake, went up through the Johnson brother's ranch, then up past the Johnson reservoir and over the hill just east of the round knoll in Guy Petterborg's field, then up Worm Creek to where Jim Robinson now lives. Then it crossed over the divide into Station Creek where a stage station was maintained at that time. From there it ran over through Bear Creek, up Mink Creek, and Strawberry, and finally over what was known as the Bear Lake Dugway." "The company that Father and Mr. Olsen were with arrived at the camping place on Worm Creek the first day by noon. While they were camping for dinner, Father and Mr. Olsen decided that the company was traveling too slow for them, so they started out ahead of the rest of the company. When they reached the top of the Station Creek divide, they saw that there was a band of Indians camped down on the creek. They decided they would go up around the camp by going up the divide until they got to the head of Station Creek. But as they were nearing the place where they thought they could cross, they ran right into the Indian who was herding their horses. When the Indian saw them, he thought they were trying to steal their horses. He gave a war-whoop and started after Father and Mr. Olsen on his horse. Because the country up there is covered with a heavy coating of cobble rocks, Father and Mr. Olsen could out run the Indian on his horse. Before they reached the open ground where the Indian might have caught them, the company had finished their dinner and were moving up the hill. As soon as the Indian saw the company coming, he turned and went back to his horses. Father and Mr. Olsen joined the company until they had passed the Indians. . . and then they went on ahead again." David would raise hay on his 160 acres in the summer and then cut it and stack it up on the homestead so that he might haul it into Franklin during the winter. During the first winter, they had so much snow that David was unable to find his little stack of hay. It was completely snowed under. David cut all of his hay with the scythe for the first few years out on the ranch. He did a lot of cutting of grain for the people of Franklin with the cradle, as it was called. He did no farming out on the ranch for he did not think that he could raise grain out there. He had a couple of city lots in Franklin where he raised some small fruits and potatoes and enough grain for his family. On one occasion he took his son with him to cut hay in the meadows. He says, "Father took the team and hid them in the willows. Thus, if there should be any Indians coming along, he would have a better chance to get out of sight. It was not safe for men to be out alone in those days because of the Indian danger. It was just before noon when Father raised up from his cutting to whet his scythe. He noticed a band of Indians up in the hollow just south of the field picking choke cherries. He at once grabbed us and ran into the willows; but the Indians had already spied us. About ten or twelve of the bucks came down to where we were sitting in the wagon back in the willows. They began to talk to Father in their language. I do not know whether Father understood anything of what they said or not; but he got out our grub box and gave it to them. They ate all that we had. Then after chatting among themselves, they rode off and left us. As soon as they were out of sight, Father hitched up the team and went home leaving the hay." David had charge of the Franklin dry herd, which consisted of the young cattle and the dry cows that the people wanted to turn out for the summer. He kept them out on what is now known as Riverdale, and down the river as far as Battle Creek. There was wonderful feed all over these hills between Battle Creek and Riverdale. He also kept quite a bunch of cattle himself after he got the mowing machine to cut the hay with instead of by hand. The family usually had between 10 and 15 head of cows to milk. Serena made a great deal of butter and cheese which they sold. Besides the cattle David usually had from one hundred to three hundred sheep. He had a very good market at Franklin for his mutton. He always butchered the sheep himself for he had wethers that would dress 125 pounds. He also found ready sale for his wool. Quite a number of times, he took the wool down to the woolen mills at Provo and exchanged it for cloth with which to make clothes for his children. On one of these trips to Provo in the fall, it became so cold on his return home that he froze his feet very severely. From Hyrum Jensen's history: "I cannot recall the year, but i remember the circumstances very well, when Father ran out of hay. We had had a dry summer which caused the hay crop to be a little short. As we had to depend at that time upon the native grass for our hay supply, the following winter was long and hard. While the snow was yet very deep here on the flat, Father had fed up almost all of his hay. He had even taken the straw off from the roofs of the stables and fed that to the cattle and sheep to pull them through the winter. It was not only Father, but all of the others that had settled out there on their homesteads. Something had to be done and at once to save their stock from starving to death. Father suggested that the stock be taken out on some of the south slopes of the hills that had become bare. But how to get them there was the question that had to be solved. There was almost three fee of hard crusted snow all over the flat. After some investigations, it was decided they would take the cattle out on the south slope of the mountain just east in Riverdale. It was covered with a heavy growth of dry grass, and there was enough of the mountain that was bare to supply the needs of the cattle until the snow would be gone." "We did not have coal to burn in the early days, but had to go into the canyon and get out wood for the winter. . . . I remember as a small boy I would go with Father to get the winter wood out before the snow came. We would leave home at daylight and would not get home until after dark. One morning Father and Mother had some words over something which I do not remember now what it was. Father became so angry that he would not have family prayer that morning. This was a thing that I had never seen him do before. I do not ever remember of sitting down to the table in the morning to eat breakfast or going to bed in the evening without first having family prayers as long as I remained at home. All went well with us during the day. Father got a very large load of dry quaking aspen wood. We had got down out of the canyon and were crossing the creek on what we called the last crossing, when the front wheel hit a rock that was laying in the creek bed. This caused the wagon to slew off to one side to the extent that it threw Father off the load. He sat down on the rock in almost the same position as he had been sitting on the load. He struck the rock with such a force that it caused him to faint, and he fell backwards right in the course of the hind wheel. He hollered 'whoa' as he was falling, and so did I. The team stopped just as the hind wheel was beginning to pass over his neck. In another six inches, it would have broken his neck. I jumped from the load and ran to get my hat full of water. I began pouring it on his face, and I soon brought him to again. When he opened his eyes and looked up at me he said, 'Hyrum, this has happened because we left home this morning without having family prayer.' I do not ever remember of leaving home again without the family being called together for prayer." "One of the first things that Father did after locating on the creek was to build a canal on each side of the creek. Then he could use the early water on the bottom land that lay along the creek. . . . It was not long until he could see that it was necessary to take water out on the bench land. He put the proposition up to the others, and they built the canal that came out of the creek. . . in Glendale." A water company was formed and stock was bought in labor from digging a portion of the canal. Terms were written up for the amount of stock owned. Each man would take a 'contract' out for the length of canal that he would dig. "Father took a contract on what was called the sandrock point for there was no one that wanted to take that piece of work. We did not know how to use powder in those days as we do today In fact we did not have the money to buy the powder and drills with which to blast it out. I have worked by the side of Father from early in the morning until late at night. We were cutting our way through the solid rock and only completed about three or four feet of the seven foot canal in a day. But I never heard Father complain. He always seemed to see the silver lining of the dark clouds that hung over this part of the valley at that time. I well remember the great time we had when the water was turned into the canal after it was completed. The men followed it down till it flowed over the divide into Worm Creek. We stood on the Divide, took off our hats, and gave three shouts, 'Hosannah! Hosannah! Hosannah!.' Then a large blast of powder was set off." "We who are now enjoying the fruits of the labors and sacrifices of those early pioneers, cannot appreciate the feelings and the joy that filled their souls when they saw the water flowing down into the valley. This water was now to be turned upon their dry and parched lands and make their desert blossom as the rose. We do not, and I don't think we shall ever be able to in the future, appreciate the heritage that has been delivered to us. The sacrifices and hardships of our Fathers and mothers who killed the snakes, built the bridges and canals for us and made the desert to blossom as the rose were greater than we will ever realize." Serena became ill with heart trouble and passed away in 1884. It was not long after her death when the crusade against those who practiced plural marriage began. Hyrum Jensen goes on to say: "It was well known that Father had had two wives, but with the death of my mother it left him with but one. However, the United States Marshall came to his home in the late summer of 1885 and arrested him on a charge of living in polygamy. 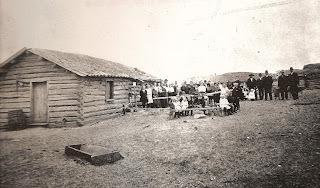 He was taken from his home to Blackfoot where he was placed in the county jail, and held without bail until his trial. He was not permitted to get any witnesses at all. They had men there that swore that he was then living in polygamy. By this means he was convicted and sent to the penitentiary at Boise for six months. The confinement was very hard on him as he had always been a very active man, always at work on the farm doing something. He was toward the latter part of his confinement permitted to do some work out in the rock quarry. He was to have paid a heavy fine in money; but this was not required of him when he was released because of his good behavior during his confinement." Again from David C Jensen, a grandson, "David believed in doing things by brute strength. By pursuing this method, he did a lot of hard work in his life time. He caused those who worked around him to work hard. He never was afraid of work. The harder the work the better he liked it. In the canyon, he loaded building logs by picking them up and placing them on the wagon. He built all of the buildings on his homestead alone. It was quite a task to put the logs up to the square on the homes built by hand, but David got the logs into place. He was able to do such chores as lifting logs because he was so strong. He could knock a horse down by hitting it with his fist." David was also able to contribute financially to early public buildings in the Preston area. He was the largest donor in the construction of the Old Academy Building which still stands in the Preston City Park. In fact, the Park was created with the intention that 10 men would contribute $10.00 each for the land that the Park would occupy. Only one of the original ten men paid his $10.00 and the other 8 failed to do so. David made up the balance, which was his share and $80.00 more. When the crickets came to the area, a trench was dug around his wheat crop and filled with straw. At daylight the children would drive the crickets toward the wheat and when they had fallen into the straw covered ditch, it would be set on fire. The crickets were destroyed and the wheat crop was saved. After Serena died, David married Lenora Finland. Julia took her children that were left at home and moved to the old 6th Ward in Preston. She never talked badly about David, they just had differences of opinions. David was the father of 23 children, 14 of whom grew to maturity. He was ill with a slight heart ailment for six months before his death in January 1909. He is buried in the Preston Cemetery. Jens Johansen, who was the son of Johanes Nielsen, was born in East Toten, Norway, 21 February 1773. Toten is one of the most beautiful farming sections of Norway. The valley that is situated on both sides of the small river that runs through East and West Toten is known as Ramdal. It is interpreted as Ramvalley. All of the farm houses are very large containing from 8 to 10 rooms. They are all painted white and built so that double windows can be put in during the coldest part of the winter. Most of the farm houses are equipped with a reception room that can accommodate about one hundred people. Their barns are also built very large. They must house all of their cattle, sheep and hogs, and also the hay and grain that is necessary to feed them from the first of October until the first of April. Nothing is allowed to run out during the winter. One reason for this is that they must save everything that comes from the barnyard to fertilize their farms. The land has been farmed for so many hundreds of years. The crops chiefly consist of oats, barley, hay, potatoes and mangels for the cows. There is a very good market for milk and cheese. Each farmer owns a few sheep which supply them with wool. From this they spin yarn to knit their men's socks and the women's stockings. There are no silk stockings used on the farms, only the home knit heavy woolen stockings. The home weaving of their clothes is almost a thing of the past. Jens was a miller by trade. He owned a small mill down on the river that was run by water power. It was just a short distance southeast of the village now known as Lens. Lens did not exist in the days of grandfather, but has been built since the railroad was built into East Toten. The farm from which he leased the land on which the mill and the small log house was built is only about one half mile from the railroad station at Lens. The farm is known by the name of Evangor, in English Avang. The place where grandfather lived was known as Evangseie. It was a small piece of land that they had a lease upon as long as they lived. When they died, the land and all reverts back to the landlord. During the life of the leasee, he must give to the landlord so many day's work each year to pay the rent on his little tract of land he is using. Jens was married 3 January 1796 to Dorthea Gudmundsen. He had the following children by Dorthea before she died: Maria Jensen, Agnethe Jensen, Johanna Jensen, Gulina Jensen, Helene Jensen, Elene Jensen. Father always told me that he had seven half sisters. They were all married and had families when he was a small boy. I have been able to find six of them as you see from the above. We haven't the date of the death of Dortha Gudmundsen Johannsen, but according to the will of 1830, she was dead. We find that widower Jens Johansen, 64 years old, and Miss Gulia Olsen, 37 years old, were married 2 March 1836. Three children were born to them as follows: David Jensen, Johannes Jensen (who lived only a few hours after birth), Anton Jensen. Gulina had a child before her marriage to Jens Johansen. He was born 15 August 1825. He was christened Ole Olsen. His father's name was also Ole Olsen. He became the father of Emile Petterborg. Anton left Toten and went down to Oslo. There he got work as a dock hand. He never married and continued in this class of work until his death. In Lena, a little village in East Toten, there is a river which runs east. In one section are a grove of trees not far from the place where the little house stood that belongs to Grandmother Gulina. She was not known as Gulina Olsen or Gulina Johansen, but as Gulina Groten. Upon a hill is the Hoff Church where grandfather Jens and grandmother Gulina lie buried. In another church in West Toten, lie buried hundreds of our progenitors because most of our people come from West Toten. The people on Jens' line were of the poorer class. That is they were the renters from the landlords. They would get a small tract of land that in many instances had not been brought under cultivation. They would work it up by clearing off the timber or stones that may have been on it. For the use of this land besides the clearing of it, they would have to give the landlord a certain number of days work each year to pay the rent. At their death, the land as well as the improvements would revert back to the landlord. In this way, the land owners would get their land brought under cultivation. Grandmother Gulina was a descendant of the land owners of Toten and not of the class that had to rent, therefore it is easier to trace her line. Father and Mother were baptized 21 February 1862, and from that time began to prepare for their trip to America. I do not know just how Father (David) got the money, but as you know Father was very saving and did not spend money foolishly. I am of the opinion that he received some help from the Emigration Fund that was used in early days of the church to help the saints to get to Utah. I do not think he received any help from his mother as she was very much against his going. She did not believe that he would be able to even write to her when he got to Utah. She tore the corner from a sheet of paper and told him if he was allowed to write to her when he got here, he was to use that sheet of paper. If the letter she got from him fit into the corner that she had, she would know that he had written it. They may have received some help from Mother's grandmother as she had a home and I think some money saved from the little farm she owned, for we know that Aunt Julia came with Father and Mother. Aunt Julia had lived with her grandmother practically all of her life up to that time. I don't think that Grandmother could help any as Grandfather was so bitter against the Mormons, and continued so until his death which occurred while I was on my first mission. The fact remains that on 13th April 1863 Father, Mother, and Aunt Julia bid farewell to their friends and relatives, and set sail on the ship "Exelence Tolv" for Copenhagen, Denmark. The date of their arrival in Copenhagen is not given, but with a sail ship, unless they had favorable wind, they would be three to four days. We know that they remained in Copenhagen until the 30th April, when they again set sail for Kiel, Germany, and then to Hamborg, Germany. It must be remembered that Mother's second child was born 5 November 1862 and was at the time of their starting on this trip only six months old. They had to travel third class. It must have been very hard for Mother to care for our little sister Josephine. From Hamborg they went on board the steam ship "Roland" and crossed the North Sea to Grimsby, England. They had on board six hundred emigrants and forty head of steers and several hundred head of sheep. I think I can form some kind of an idea of what they had to go through with that kind of a load on a small ship, and then to have steerage passage at that, and Mother with a six months old child in her arms. I have crossed the North Sea eight times and have had first class passage all but once and that was on my first mission. I don't think there is any place on the ocean that can get as rough as it does on the North Sea because the water is shallow and the waves roll so much higher in shallow water. So I know just what Mother had to go through on the trip from Oslo to Copenhagan to Kiel and from Kiel to Hamborg and from Hamborg to Grimsby, England. It took them 27 days with their stops and traveling which would only take at the present mode of travel about 48 hours. From Grimsby to Liverpool they went by train arriving there on the 20th of May. On 23 May they set sail on the sailing ship "Antartic" for New York, with four hundred and eighty emigrants on board. Joseph Needham was in charge and assisted by Carl Dours. They were on board the ship 49 days. It was necessary for them to stand in line each day to get their drinking water. They only received a small portion towards the latter end of their voyage, as the Captain was afraid they might run short of water before they reached New York. Several persons died on the way over and were buried at sea. It is hard to imagine them 49 days on the ocean. We, their children, will never know nor be able to understand what our parents went through for the sake of the gospel. They arrived in New York 10th July and were placed in cattle cars and shipped to St. Joseph, Missouri. They passed through a part of the Civil War battle zone where they could hear the cannons roaring. From St. Joseph, Missouri, they went to Florence, Nebraska, arriving there on 25th July. At this place there were seventy wagons awaiting the arrival of the emigrant company. Peter Nebeker, who was in charge, had come from the Salt Lake Valley to bring the company of Saints to Utah. As you will remember there were nearly five hundred emigrants in this company. Their belongings were loaded into these seventy wagons, together with the supplies that was necessary for the journey and also with supplies for the Saints in the valley. It was necessary for the Saints that were able to walk to do so, as the teams had all they could pull with the luggage and supplies that were necessary for the company. Up until this time Father and Mother had been on the deck of ships or on steerage with all of the disagreeableness. Then being shipped in cattle cars, but that was no comparison with that which now lay before them. They had a thousand or more miles before them, with seventy wagons pulled by oxen, horses and mules. These were necessary to draw the loaded wagons over the rough road that was cut into deep ruts by the travel that had passed over them during the dry summer months. It is almost impossible for us as their children to understand their condition. They would pitch camp for the night all covered with dust, as well as all of their belongings. Mother with our dear little sister in her arms all covered with dust and no place to take her and give her the attention that was necessary to prevent her form getting sick. So after being on the way for a few days she did become ill. Even though Mother was granted the privilege of riding in one of the wagons with her sick child, you can imagine what it would be like in one of these heavy loaded wagons over a rough road. I was told by Father and Mother that they walked most of the time with Josephine in their arms. Finally on 13th August her spirit took its flight. Father and Mother found themselves along the Platt River with their dead child in their arms, without a casket or anything wherewith to bury her. The company was halted for a short time while a shallow grave could be dug, into which they placed the body of our dear little sister Josephine. They put her in a casket made from the sod that had been dug out of the grave. It is hard for us children to imagine the feelings of Father and Mother, especially that of Mother as she knelt by the side of the grave as they filled it with earth. She knew that she had nothing with which to mark the spot of ground that had become sacred to her because it was the resting place of her dear little daughter. Oh, what anguish must have filled her soul. When she had walked a short distance, she turned taking one last look at the little grave that she knew she would never in this life see again. It must be remembered that the death of Josephine was just one year and eight months after the death of Segvard Julius, her first child. From here on there was nothing of importance that happened outside of Aunt Julia and Margaret Olsen Clayton wandering away from the company and getting lost. It was necessary for them to send out a searching party to find them because they thought the Indians had captured them. They were found in a short time and returned to the company. Two buffalo were killed on the way and the meat was portioned out to the company. There is nothing of importance that happened to the company from here on that we have any knowledge of. There is no history written of this company of saints from Florence, Nebraska to Salt Lake City. Peter Nebeker failed to turn it in on his report on arrival at the city. It was afterwards lost, so we are told, by the Historian's Office. The company arrived in Salt Lake City on 3rd October, 1863. Father and Mother went directly down to Lehi. It is also stated that Mr. Olsen, the father of Margaret Clayton, with his family, also went with them. They were very close friends from Norway. Brother Olsen came from Dramen which is about one hours ride due west of the city of Oslo. Not very much is known about Father's and Mother's stay in Lehi. The family record which we have of the births and deaths of the children of Father and Mother informs us that our brother David Henry was born in Lehi on 2 July 1874. About ten months after the death of Josephine, Father and Mother were again called to pass through this awful ordeal of laying another of their little ones away in mother earth. As David Henry died on the 9th of September 1864. It must have appeared to our heartbroken mother that she was not going to be able to rear any of her children to maturity. She had now buried three, one after the other, in such a short time. We do not know the exact date of the marriage of Father and Mother; but it must have been in the latter part of 1859 or the first part of 1860. Their first child was born on the 24 December 1860. We have then a brother buried some place in Norway, a sister on the plains, and brother in Lehi. But just where their graves are we will never know in this life, I never did ask Father or Mother anything about the matter. On the 11 August 1865, our sister Sarah Christina, came to gladden their home. It must have been a joy to Mother to again have a little child in their home. 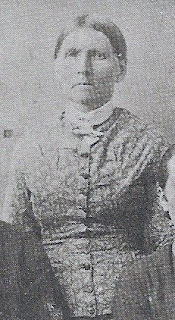 Aunt Julia went down to Lehi with the folks and it is stated that she went to work for a lady by the name of Jacobs. This lady, by the way, was very particular about her house work. Aunt Julia had a lot of grief until Mother took her back home again. One day Aunt Julia and Margaret Olsen were out in the field gleaning. An Indian spied them and came out to where they were. He began to make uncomplimentary remarks to them. They became frightened, but made motions towards the willow patch that was nearby. He followed them only to find Brother Olsen in there cutting willows. He made his get away in a hurry. Aunt Julia and Margaret knew that Brother Olsen was there for they had gone out with him into the field. 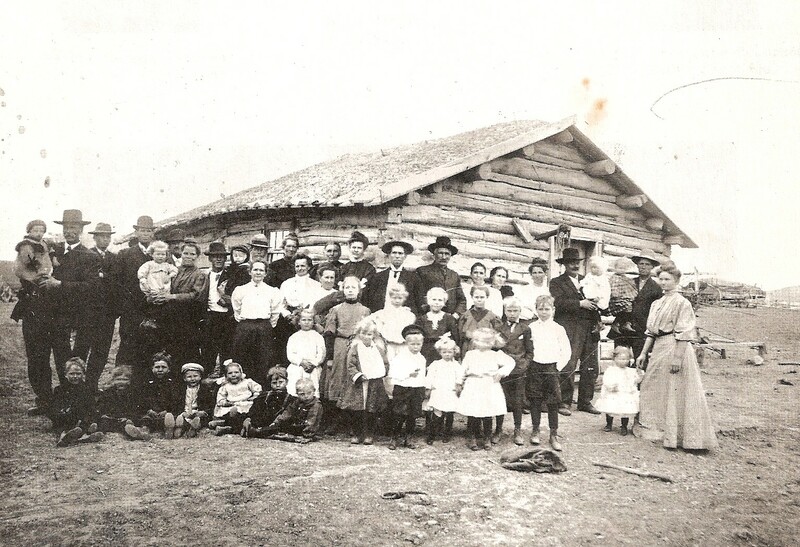 Father and Mother and Aunt Julia remained in Lehi until the spring of 1866. Then, they together with Brother Olsen and his family moved to Franklin, Idaho. Father bought a city lot just two blocks directly east of the railroad depot. Here he built a log house, and later added to it and made it quite comfortable. He also later bought a lot joining him on the west. Soon he had two lots on which he raised small fruit and vegetables and some grain. Later on he bought two lots one block south and a half block east of the house. On these two lots, he raised wheat so he had enough for flour the year around. The old Charles Baker home joined Father's place on the south. The old lady Clayton's (Joseph Clayton's mother) place was just across the street about a half block south of Father's home. The old lady Wheeler, who was the midwife for Franklin, at that time, lived just across the street north. Mr. Lundengreen's place joined Father on the west. He was killed while trying to move an old shed out to the place he had taken up. That is now owned by the Peterborg Brothers and James Jensen. Mr. Hansen lived across the street east and a half block north. This is where May Jensen's mother spent her girlhood days. Franklin at that time had what was called the co-op store. It was a store in which the people bought shares of stock, and at the end of the year they would receive a dividend on what the store had made. Father did a lot of work in this store putting up furniture and other odd jobs. Mr. Stalker also had a store and sold liquor as he did not belong to the church. The saints were forbidden to trade with him. Brother William Webster had a harness shop and later on added a general mercantile store to his business. It was the old rock house that stands on the the hill in west part of town. Brother Charles Spongberg and Isaac Nash each had a blacksmith shop, and did all of that kind of work for the people. Father did a lot of cutting of grain for the people with the cradle. He had the name of being able to cut more garin with the cradle than any man in Franklin. 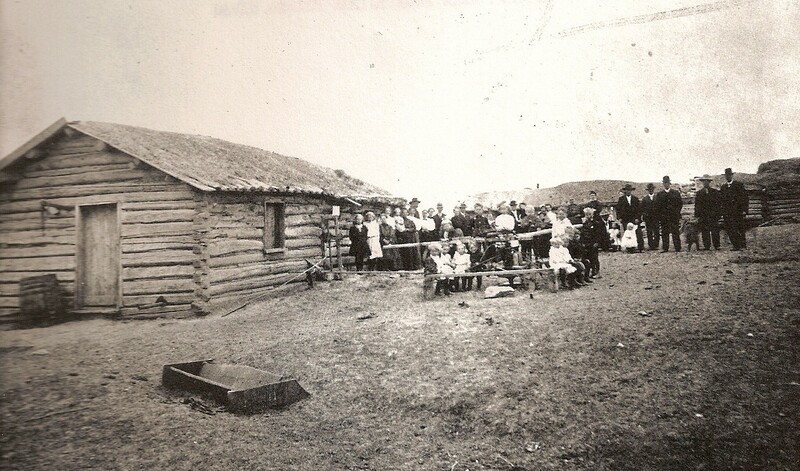 On 22 February 1868 Hyrum Daniel came to gladden the home of Father and Mother. It is stated that Father and one of his neighbors had to carry the midwife in a rocking chair to the house. It was so muddy and the ground was so soft that they could not drive a team. Aunt Julia had made her home with Father and Mother most of the time from their arrival in Utah and Idaho. From the records we have at hand we find that on 23 November 1868, Father and Aunt Julia were married in the Endowment House at Salt Lake City. From that time on, Father had two families to take care of. As we all know Mother and Aunt Julia were sisters. Mother had given her consent to the marriage of her sister Julia to Father. Mother went to Salt Lake City with Father and Aunt Julia. Here she went through the Endowment House and received her Endowments. She was sealed to Father on 23 November 1868, also. It was necessary later to have Segvard Julius, Josephine and David Henry, Sara Christina and Hyrum Daniel sealed to Father and Mother in the Logan Temple. As long as Mother lived, there was no contention between these two sisters. Mother because of her poor health did most of the work in the house (as we lived in the two log rooms that still stand on the farm). Aunt Julia was a strong and robust woman in her young days and helped Father a great deal with the work outside. Yet in later years she suffered a great deal with neuralgia and was compelled to remain in bed at times. Her first child was David Samuel born 19 March 1870. The others are as follows: Peter Simon, Christina, Anne, Junius, Jeremiah, Netha, Bertha, Arthur, Edith, Elene, Wilford, and Elmer. The late Mrs. Amos Black, maiden name Mary (hidden but at the top of the page is written Gloster). Through the death of Mrs. Amos Black, of the Common at Inkpen, a familiar figure has been removed from the neighborhood. She and her husband attended all the fairs and fetes in the district in their younger days. She died on the 21 inst at the age of 81, after ailing for several months. She was buried in Inkpen Churchyard on Monday afternoon, in the presence of a large number of friends. The principle mourners were, Amos Black (husband); Mr. Amos Black (son); Mr. and Mrs. Nelson Black (son and daughter-in-law); Mr. and Mrs. Henry Black (son and daughter-in-law); Mr. and Mrs. Maurice Black (son and daughter-in-law); Mr. and Mrs. Buckland (daughter and son-in-law); Mrs. Stokes (a daughter); Mr. Maurice Black (a brother); Messr's Nelson and Albert Black and William Stokes, Misses L.P. and M Black and L. Stokes; Mrs. Thomas; Mrs. Smith (grandchildren); Mrs. Hamblin (sister-in-law); Mr. T. Williams, Mr. and Mrs. Henry Black, Mr. and Mrs. T Black, Mr. and Mrs. Deakins and Mrs. Goddard (nephews and nieces). 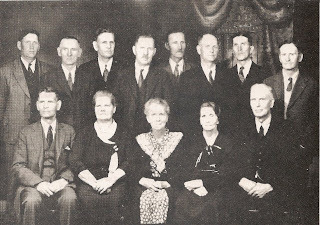 Nelson, Albert and Ben; Leander and Jack Deakin; Grandchildren Sheppard, Grandchildren Lena and Albert; Grandchildren Smith, Great grandchild Violet Deakin; Mr. and Mrs. S. C. Goodhart; Alf and Rhoda Goddard; Mr. and Mrs. M Goddard; C and C Bicknell; Mrs. Lavina Deakins; Mr. and Mrs. E. Josey; Mr. and Mrs. Angell, etc. Mary Black, died 21st August 1924, aged 81 years." The funeral arrangements were carried out by Messrs. J Edwards and sons Ltd under the supervision of Mr. James Edwards. Death of Mr. Amos Black (9 MAY 1925), A well known horse dealer of Inkpen. Mr. Amos Black, died on Friday at Odiham, where he had gone on a visit to his daughter. Amos, who had reached the age of 86, had lived on Inkpen Common practically all of his life. He was one of the best known men in the district, particularly among those who had to do with horses, either as owners, buyers, or sellers. Amos knew all there was to be known about horses, and did a large business as a dealer. He was healthy in appearance, a character, whom Dickens would have loved to portray. Keen at driving a bargain, there was none who could get the better of him in a deal. He had a keen eye for the points of a good horse, and could show the paces of one, which he was desirous of selling. A man of distinct type, ready in repartee, able to smoke a cigar with keen enjoyment, or crack a whip or a joke with anybody. Motor cars he never approved, because they displaced horses. Amos Black was a patriarch of a numerous community settled on Inkpen Common. The funeral took place at Inkpen Church on Tuesday in the grave in which his wife was interred only a few months ago. The mourners were: Messrs Amos Roberts, Nelson, Harry, and Maurice Black (sons), Mrs. Stokes (North Wanborough); Mrs. Stokes (Odiham) and Mrs. Buckland (daughters); Mrs. Nelson Black, Mrs. Harry black, and Mrs. Morris Black (daughters-in-law); Mr. Maurice Black (brother); Mrs. Arabella Black Hamblin (sister); Mr. Nelson and Miss L Black (grandchildren); Messr's T. F. and H. Black and T. Williams (Nephews); Misses S. and E. Stokes, Mrs. Goddard and Mrs. Sheppard (Nieces); and in addition a large number of friends and neighbors were present.